The community of Friars at St. Francis of Assisi, Chester would like to wish all parishioners and visitors a very happy and Holy Easter. Welcome to one of Chester’s oldest Roman Catholic Churches, St Francis of Assisi. Set in the heart of Chester City Centre, near the Grosvenor Museum and Race Course, it was originally built for the Order of Friars Minor Capuchin. The construction of St Francis Church began in 1862 and was finally finished in 1875. It is now a thriving city Catholic Church serving a wide community over the Chester area. Visiting Catholics and non Catholics from all over the world are always welcome. Have a look at our mass times and be sure to say hello to the Brothers after the mass. We look forward to meeting you. Confessions available on request. As long as there is a Priest available within the Friary the sacrament of reconciliation can be heard any time by going to the green door in the car park. The custom of praying the Rosary as a family is encouraged. In our Parish the Rosary is recited before the 12:00pm Mass at 11:30am, Monday to Thursday. All are welcome and invited to join in. Baptism and Marriage Sacraments are available after consultation with the Parish Priest. The repository has stocked up on a new range of gift ideas and cards. 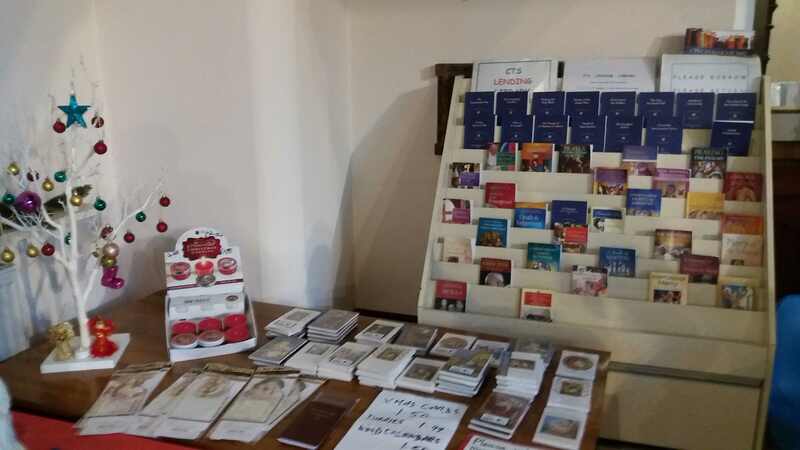 All purchases go towards the upkeep of the Church and helping our Parish community. 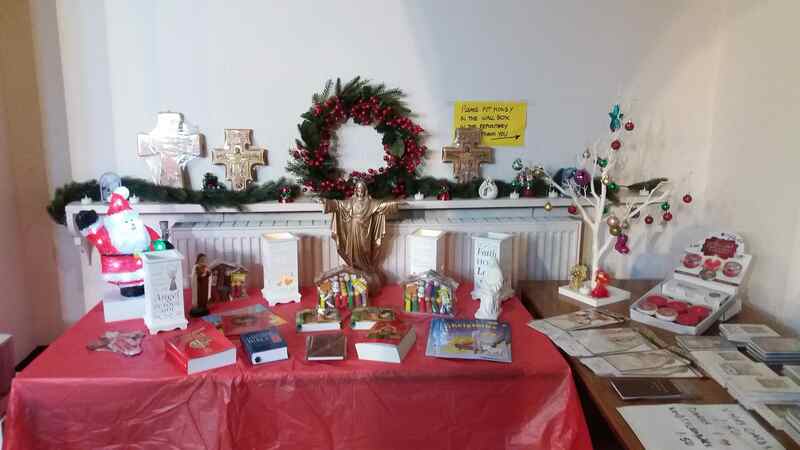 There is a wonderful selection of beautiful gifts, cards, pictures, candles, rosary beads and ornaments for sale at very reasonable prices. Why not come along and have a look and buy someone special a present here!